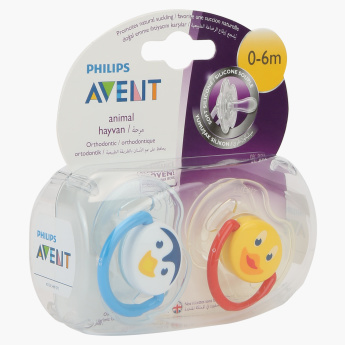 Avent Animal Shaped Orthodontic Soother - Set of 2 | Orthodontic . Soft Silicone . 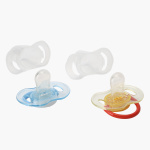 Comfort your baby during the teething phase by getting these orthodontic soothers. 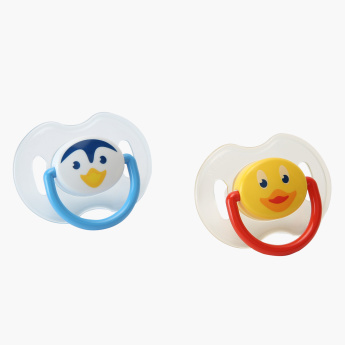 Shaped like animals, these soothers are accompanied by covers for proper hygiene. The handle on the back provides a comfortable grip. Feature 2 : Comforts your baby . Feature 1 : Orthodontic . Soft Silicone . Feature 3 : Comes with soother cover to ensure proper hygiene.